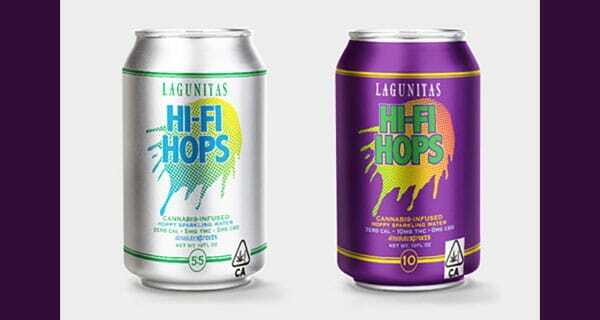 Big Beer is showing keen interest in cannabis, with latest news being Heineken’s launch of Hi-Fi Hops, from California beer brand Lagunitas, and which is made with marijuana instead of alcohol. Hi-Fi Hops is currently only available in a select number of dispensaries in California, where marijuana is legal. Lagunitas, Heineken’s fast-growing California beer label, labels its new brew as “hoppy sparkling water”, not as beer. The beverage contains no alcohol. Instead, the beer-like beverage is made with THC, the primary psychoactive ingredient in marijuana. In addition to a brew made with THC, the ingredient in marijuana that causes a high, Lagunitas’ new ‘beer’ is also available with CBD, the non-psychoactive cannabis component that’s thought to be responsible for many of its therapeutic effects. The beverage is currently being sold at $8 per can. Consumer demand for marijuana products is growing fast as state-based legalisation campaigns spread in the US and scientific awareness about the drug increases. There is also an emerging interest in CBD, the compound thought to be responsible for many of the drug’s therapeutic effects, including pain relief. Hemp seeds are the edible part of the hemp plant (Cannabis sativa L). Also known as an “ancient grain” or seed – hemp products are making NPD inroads and innovators in this space are keen to promote the benefits of using hemp in food products. According to research from Innova Market Insights, hemp claims have climbed up 42 percent CAGR for NPD (Global, 2011-2016). Hemp is also known to contain dietary fibre, vitamin E and minerals such as phosphorus, potassium, sodium, magnesium, sulphur, calcium, iron and zinc. Hemp may promote a healthy cardiovascular and reproductive system, improve digestion and skin, and maintain health and wellness.